Sherrill Cooper grew up in Ohio where she received a Bachelor of Fine Arts degree from Miami University. She now lives and paints in the lush, rolling countryside northwest of Baltimore, Maryland. Like many successful artists before her, Sherrill pursued a career as an illustrator. 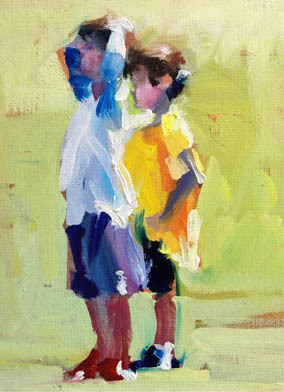 Her paintings in oil are a natural progression in her artistic maturity. She paints with rich, textural color and emotional brushstrokes. Her strong design sense and fresh concepts make her paintings unique. 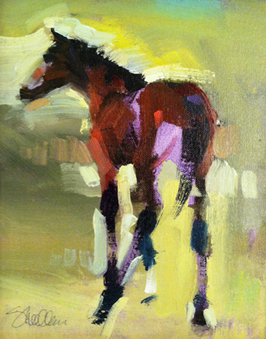 Sherrill has an extensive body of work that reflect her love of the figure. "I love people watching. The way they sit, stand, their overall posture and attitude fascinates me. 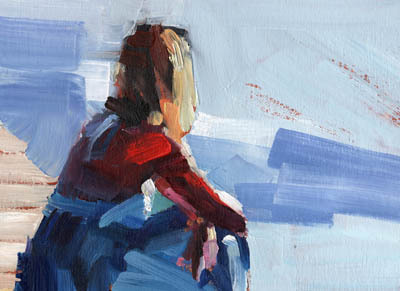 I am drawn to the figure absorbed in contemplationcapturing their inner sense of isolation. I seek to communicate their emotions at that particular time. 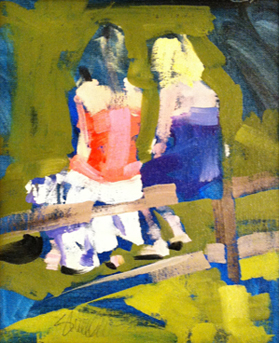 I want the viewer to feel what the subject is feeling," Sherrill says. 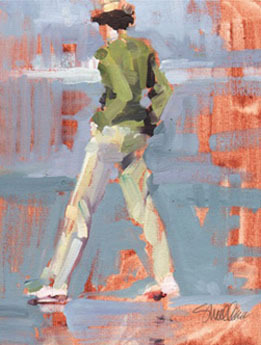 She enjoys painting on site, "en plein air." 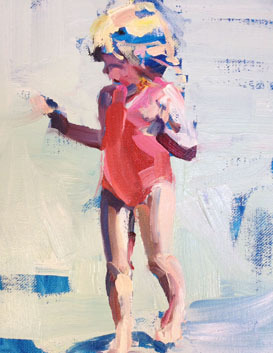 These paintings are also full of life and movement. 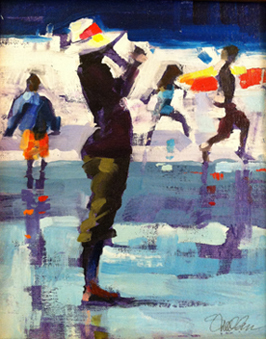 They are energetic with efficient, minimal brushstrokes. "It’s reality. You are in the world that you are painting. You must paint what you see quickly, condensing the information because things are always changing outdoors. The wind blows, the lighting shifts," Sherrill observes. 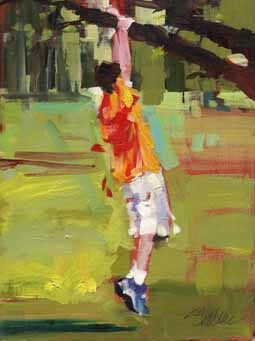 She is a member of the Mid-Atlantic Plein Air Painters Association. 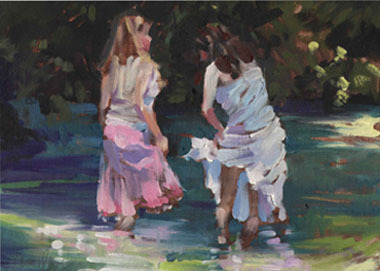 Sherrill was featured in the February 2006 issue of Fine Art Connoisseur Magazine/ Plein Air Magazine. Her work is exhibited in fine galleries and is in numerous private collections.